For our January 5333 Featured Artist of the Month, meet Ron Davis and his work on our walls. 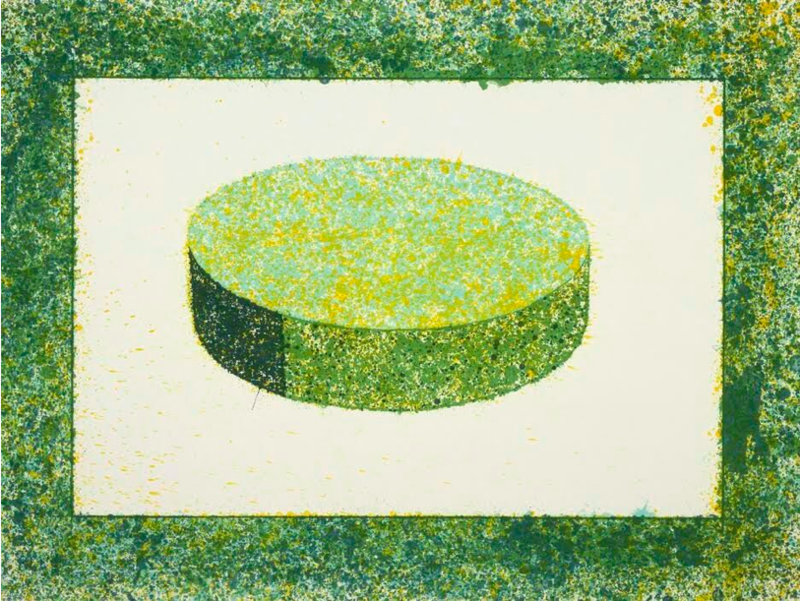 This specific piece is entitled, “Green Disc,” and was created in 1983. As for Ron, he was born in Santa Monica, California and raised in Cheyenne, Wyoming. In 1955–56 he attended the University of Wyoming. Afterward, he attended the San Francisco Art Institute from 1960-1964, a time in art that was heavy with abstract expressionism — Ron Davis’ signature art style. His paintings are known for their hard-edged, geometric and optical characteristics. Since 1991, Ron has lived and worked on the outskirts of Taos, New Mexico. Come back in February for the next 5333 Connecticut Artist of the Month feature.